The 2015 Erik Buell Racing 1190SX is here, we finally have the production ready version of this street ready naked. Based on the 1190RX the fully faired version at the EBR stables, the 1190SX promises to be every bit mean and more street friendly fun than the 1190RX. Whats interesting is that apart from the unveiling is that EBR have not actually put out more details regarding the 1190SX. Expect a slightly sane version of the 1190RX specs, that would put power figures in the range of 180 HP and torque figures in the range of 137 Nm. The EBR 1190SX has a lot of shared components and in fact our best guess is that the machine will not have a much detuned engine just to make it that much more wild. 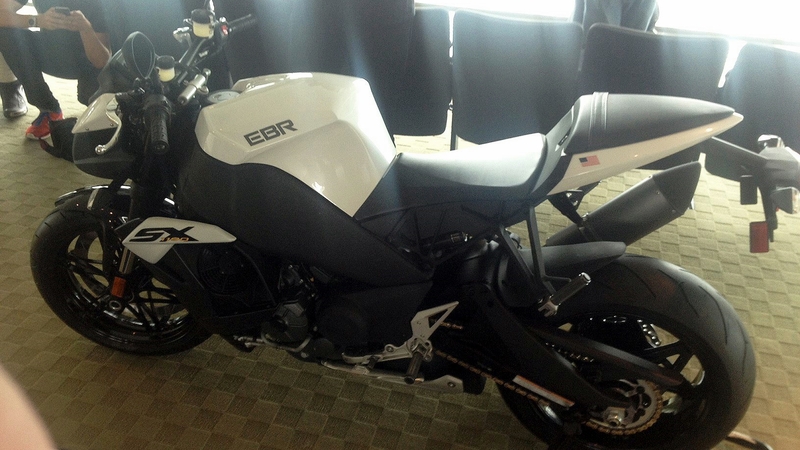 More details of this EBR beauty as and when it happens, we leave you with some photographs. Hero EBR what really happened?